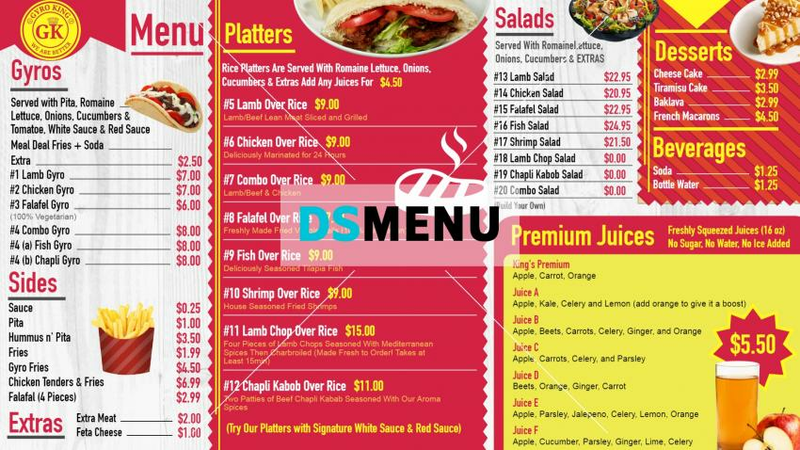 This menu board presents a bright and vibrant setting with it’s red and white colors complimenting each other perfectly. The menu is eclectic and diverse, and includes Gyros, Platters, Salads, Desserts, Beverages and Juices. On a digital menu board, the bright colors would surely entice the target audience, and the restaurateur, facilitated by digital software, can promote specific dishes at real-times thereby garnering better margins.